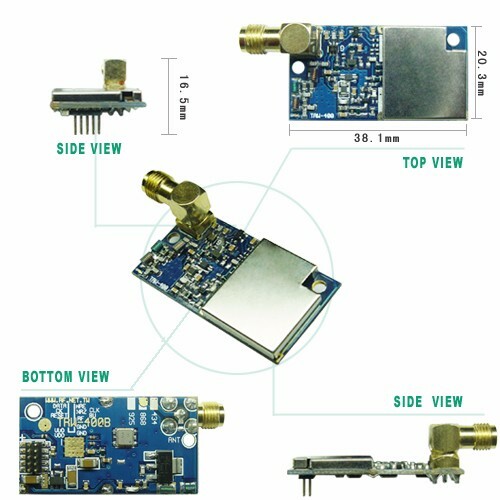 GFSK High Power Longest Range Full Duplex RF Data Transceiver Module,TRW-400B offers greater transmit power, increased receiver interference immunity,Distance: straight line is up to 8 kilometers. (1 kilometer in the urban area);Built-in Antenna, AFC, AGC and RSSI;RF total solution by Digital designed. Simple digital RF designed, directly communicate by IO. Build in AFC, AGC, RSSI; Adjustable in Power, Channel, Band Width, Data Rate. Can lengthen distance by adding antenna. Application to : Wireless Security System, Home Automation, Remote Control Systems, Automatic Meter Reading, Remote Metering, Wireless Phone.